It is safe to say I already have too many devices to make coffee. 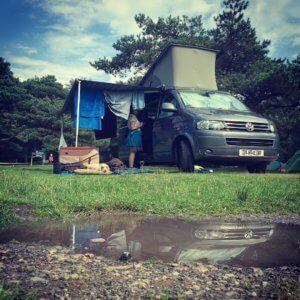 As well as a nice machine at home I have a number of coffee makers I have purchased over the years to use in my van. Many of these have been abandoned or given away as they have failed to perform as I would like, have worn out or have proven too inconvenient for the campervan. You will have seen my review for the mini-presso, which made nice espresso but was messy to use, leaked, and only made enough for one person. Not being big espresso drinkers, we looked for something else. The Moka pot is popular with many but for me they tend to lead to burnt and sometimes metallic tasting coffee unless you get the temperature and grind exactly right. I’m interested in the best taste I can achieve so those are not for me. The oomph seems to fit the bill and at around £35, it seemed worth a go. I will be honest I wasn’t convinced there would be much difference between this and a regular french press but it had the convenience of being a self contained coffee maker and drinking cup too. It came packed in an attractive protective tin, which was a nice touch and is useful to protect it when travelling. The process is simple, add coffee to the indicated level, add water to the line and then after it has settled top it up again. Stir for a short time and then press. The press is self contained and you can feel the pressure as you plunge to make the coffee, there is no need to push hard just let the weight of your arm gradually push it down. The inner chamber then fills up with the coffee, but the base filters out the grinds. You can then drink it from the Oopmh itself or as we do pour out the coffee. 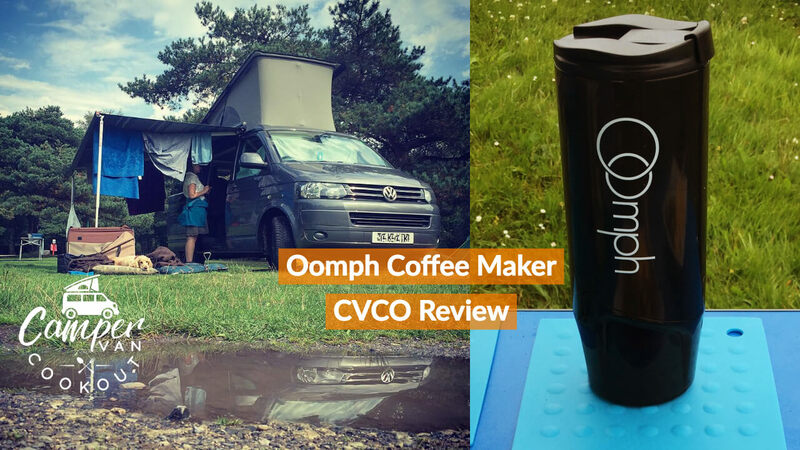 I tried the oomph with a variety of coffees and grinds and much to my surprise it somehow seemed to make a decent coffee with each. Best of all it made enough for two, so we could both have a coffee without repeating the process, as we had to with the mini-presso. The Oomph is quite easy to clean, simply needing a rinse with water. It is much easier with running water but you can get most of the grinds out prior to this ensuring minimal mess. There are some downsides however, the lid is leaky and doesn’t seal very well so it may not be wise to travel with it full of hot coffee. The finish on ours has also not aged well, the lock, for once you have brewed, no longer works as the plastic has split and the transparent inner is looking very tired indeed. You can buy spares which is fantastic and Oomph are always looking at the design but I was a little disappointed how quickly mine became tatty. This makes great coffee, the design works fantastically with most grinds is simple to use but isn’t really built to last. The lid can be leaky but it is self contained and is good for pouring. I think it is easier to pack and use than some of the alternatives, such as the aeropress but is a little larger. 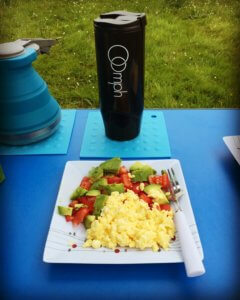 That said the Oomph isn’t quite as versatile as the aeropress but it is simpler. If you want a great all in one unit and more importantly consistently good coffee this may be for you. If you don’t consider yourself a fan of good coffee, you may be better with a simple moka pot or cafetiere.